Description: MIDGE has been through a lot in her young life. 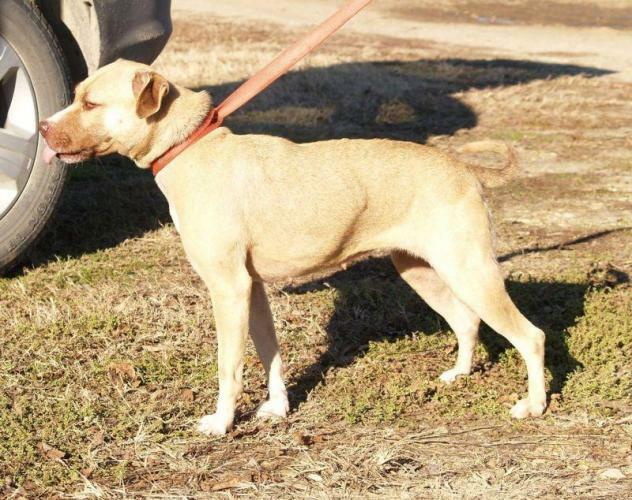 She has suffered the heartbreak of abandonment & has likely not been treated well. 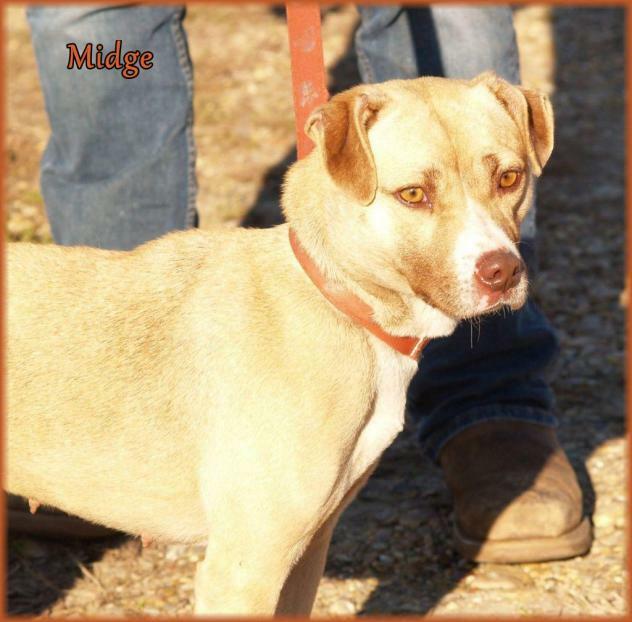 Midge was found as a stray in southeast Missouri and impounded at a rural animal control facility where a gas chamber is the means of euthanasia when they run out of time & space. She surely sensed the danger to her life, and desperately needed a miracle to make it out alive. Dolly's Legacy came to her rescue & saved her life. Midge arrived fearful & not ready to trust, but she is blossoming in her foster home and loves her foster family. She needs an experienced adopter who will be patient & gentle with her, giving Midge the time she needs to overcome her heartache, hurts & fears. Noisy homes frighten her, so a quiet home without children or a lot of coming/going would be best for her. Midge deserves compassion & will be a loving, devoted companion for life. 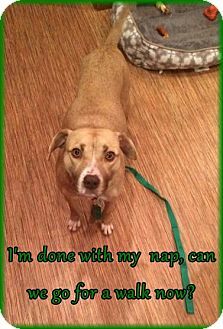 Midge is 14-16 months old and weighs a petite 30 lbs. She is spayed, vaccinated, microchipped, given flea/tick preventative & dewormed. Adoption fee is $180 . 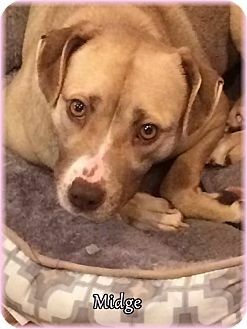 Not only did Dolly's Legacy save her from being killed at the shelter, but we provided life-saving treatment for Midge to cure her of heartworm disease. Once completed end of February 2016, she will be ready for a new chapter in her life! For adoption guidelines and to submit an application, please go to this link: http://dollyslegacyanimalrescue.org/adopt/ We are a foster-home based rescue group and do not have a facility. The first step is to have you complete our online adoption application. All adoption appointments are scheduled after your application has been approved. We are 100% volunteers & will generally reply within 3 days of application submission. PLEASE be sure to answer all questions completely or it will delay processing, be sure to include vet phone#. If you have any questions please email DollysLegacy@aol.com. Please 'LIKE' our facebook page to learn more about our rescue, see more pictures & get updates on all our adoptable pets!